The current competitive context is increasingly characterized by the saturation of markets and the overcrowding of communication and advertising messages. The only survival strategy for companies is to differentiate themselves from competitors by creating truly innovative products and services. Neuromarketing is a new science that allows us to understand and predict consumer behavior with a level of absolute precision. Numerous studies reveal that between 75% and 90% of purchases are made through decisions influenced by the unconscious rather than by rationality. From these requirements Neuromarketing was born, a new lever able to thoroughly investigate these psychological implications: a revolutionary discipline that fuses knowledge from traditional marketing with those of neurology. Human factor and the emotional aspects are the fundamental component of all people, with which a marketing man interfaces every day: knowing them is therefore essential. Would it also be possible to measure people’s emotions, behaviors and preferences before, during and after the purchase? This innovative service helps a company to be in the market in a much more impactful and profitable way. This sophisticated technique makes it possible to evaluate key elements of a brand’s communication such as packaging design, an advertising campaign or the website for a test phase. 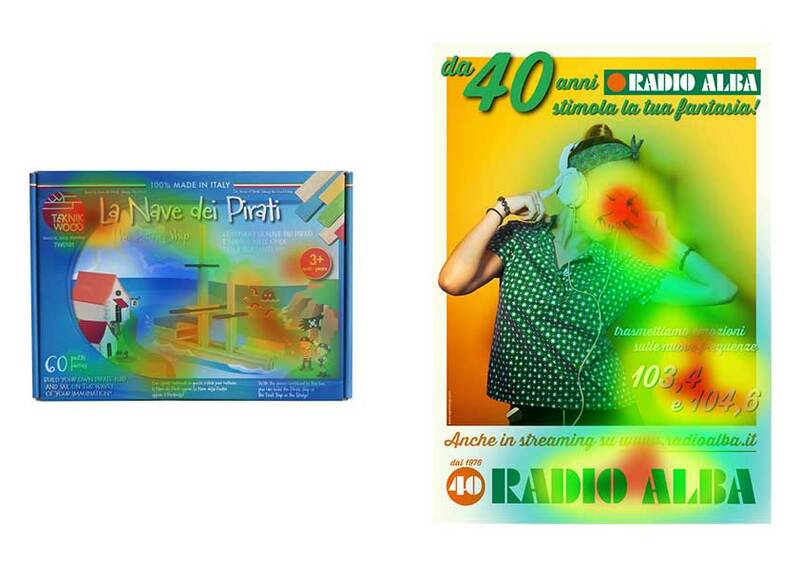 Through the heat map, the eye movements of a sample of target consumers will be analyzed, induced by the exposure to these elements for analyzing the unconscious preferences and highlight, finally, the strengths and the elements that will have to be improved. The deep mind knowledge and the reactions of the consumer target will be strategically fundamental for a better understanding and prediction of their behavior and decisively influence, through appropriate techniques of persuasion or cognitive bias, the actions that can actually bring them to the final purchase.